Redkings was founded in 2006. There official sportsbook BetRedKings was created in 2009 and is pretty successful ever since. Even if they are new on the sportsbook market, they have a long running and successful online poker room. It looks like they can bring this success to sportsbetting too. 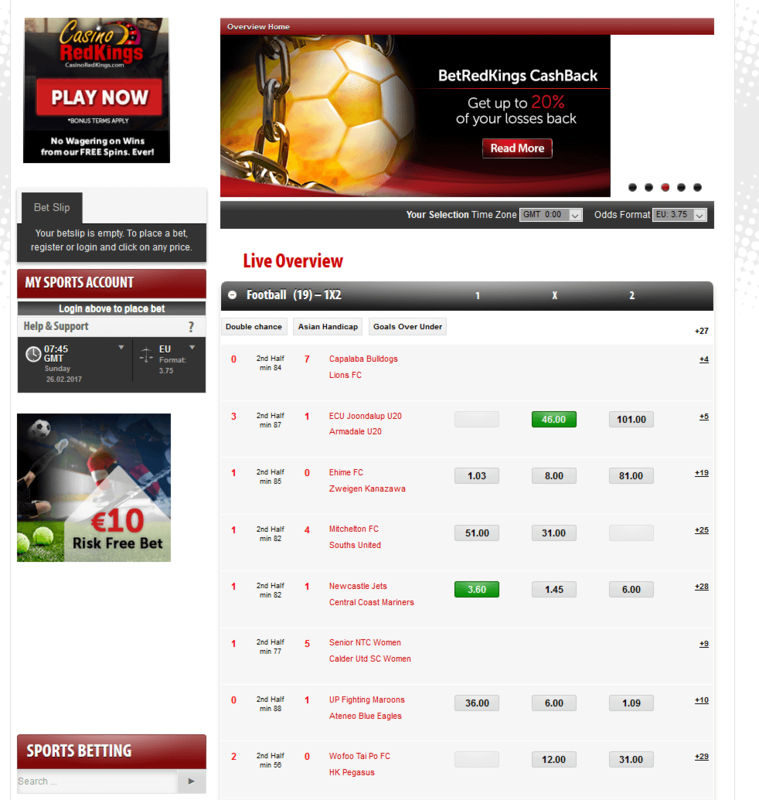 So far, they have done a great job and offer some of the best and most innovative promotions in online sports betting. Find more information and all details in our RedKings Review. New customers at BetRedKings can take advantage of a 50% First Deposit Bonus up to €60. The bonus amount depends on your account currency. You will have to deposit €120 in order to receive the maximum bonus amount of €60. To receive the first deposit bonus, your deposit must be turned over 10 times on any bet. The maximum betting amount is capped at €30. The minimum odds requirements are 2.0. Bets placed at lower odds will not count towards the rollover requirements. 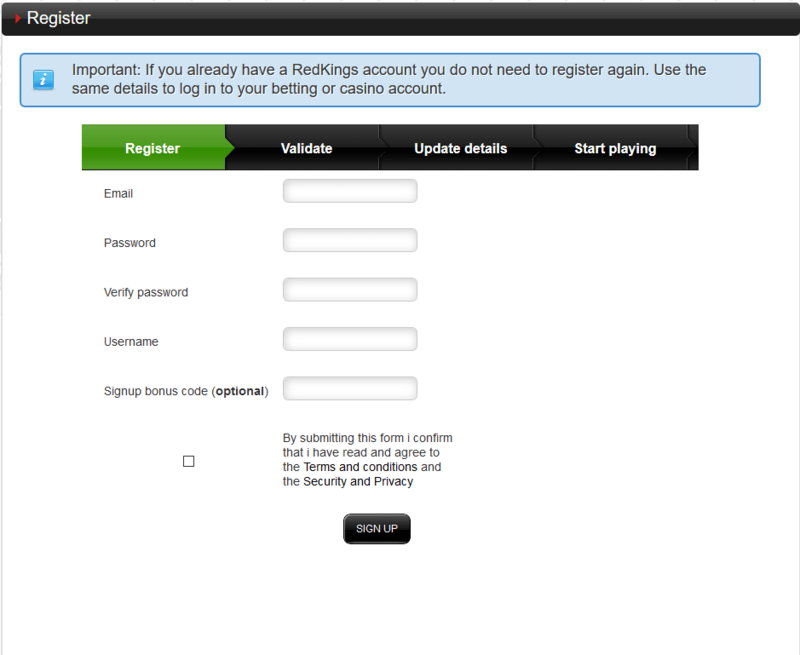 After you have met the wagering requirements, the bonus amount will be automatically credited into your account. There is a time span of 45 days for new customers to clear the First Deposit Bonus. Minimum odds requirement of 2.0. Maximum amount per bet which counts towards the turnover requirement is €30. You have 45 days to fulfill the turnover requirements. 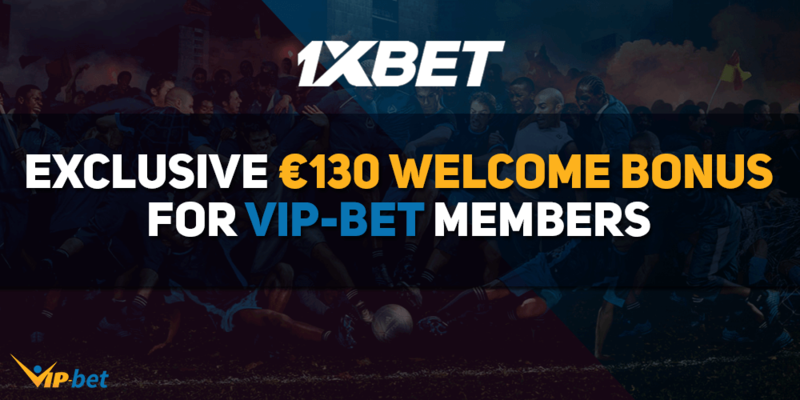 Deposit €120 or more to receive the maximum bonus. Our following step-by-step guide will show you how to easily set up your account within a few minutes and benefit from our fantastic €60 Betting Bonus. At BetRedKings.com they offer good sports coverage for sports worldwide, but their main focus is soccer. For soccer betting they cover the majority of international football leagues including the English Premier League, Serie A, Primera Liga, Bundesliga 1 and Champions League. But they also offer some smaller markets like the Veikkausliiga from Finland, the Allsvenskan in Sweden and many other important leagues from Russia , the Ukraine and the MLS in the USA. Besides soccer you will also find a lot of other popular sports betting markets like horse racing, tennis, basketball, Formula 1, rugby and hockey. The odds at RedKings are about average, maybe even slightly below and in most areas they cannot compete with the biggest players. An average payout of about 91% placing Bet Red Kings somewhere in the mid-bottom section of serious bookmakers in this department and they seem to constantly improving. Combines with some pretty good limits it is definitely worth to take a look, even if you have to closely look for some good odds. To make it as easy as possible to find the best odds for any event, we have created our Odds Comparison Page. There we provide you with an overview about the best odds for different events through different sportsbooks, you can easily find the most profitable sportsbook to place your bets. Give it a try and see how easy it can be to increase and maximize your winning by just picking the best site to place your bets. 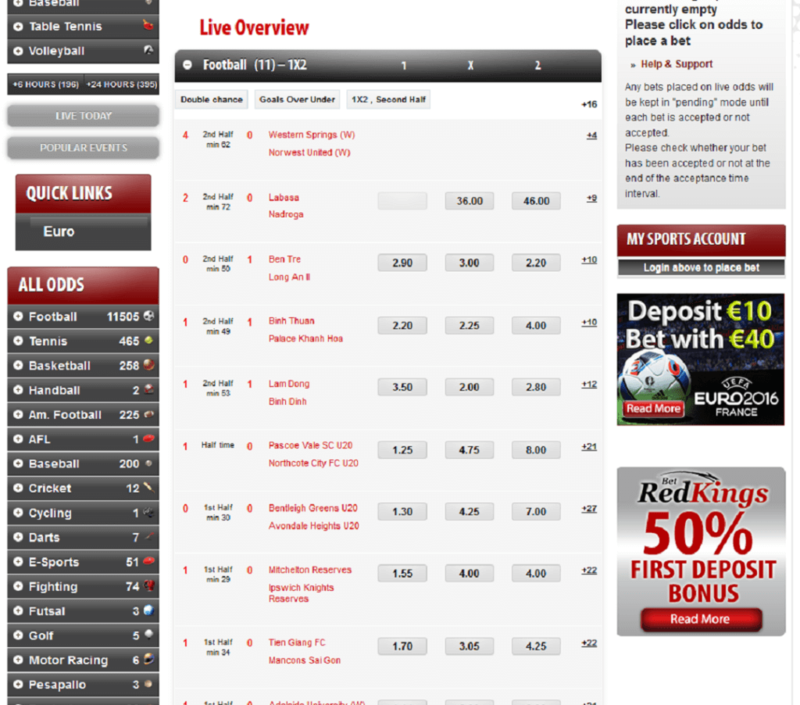 RedKings has a great coverage of football in-play events, with a lot of betting options to choose from as well. Other sports are also covered pretty good, but not to the extent of football. Unfortunately, RedKings does not offer any live streaming on their site yet. There might be some changes in the future, but in the meantime you can check our Sports Live Streaming section, where you will find the best live streaming sportsbooks and some more information about live streaming in general. Payment options are definitely a strong point for RedKings. They are offering a wide selection of payment options, so that every customer will find a way to easily deposit into their sportsbook accounts. The following table gives you a quick overview about the most important payment options and their fees and limits. Besides their up to 60 € welcome bonus, there are a number of other promotions like cashback, moneyback or a mobile bonus. Make sure to regularly check our overview to not miss any of them. Let’s have a look at some more details. CashBack Loyalty Program – BetRedKings is offering their customers cashback up to 20% of their net losses. There is no registration needed for this promotion. In order to qualify for the loyalty cashback program you need to have made at least 120 regular bets during the past 12 months, after doing so you will enter the first level of the cashback program, that will provide you with 10% of your net losses in the last year. The cashback level will be raised to 20% after you have placed over 1.200 regular bets during the last 12 months. The cashback will be paid once a month directly into your BetRedKings account. Mobile Bonus – BetRedKings is offering their customers a decently sized 100% up to $40/€30/£20 mobile betting bonus. 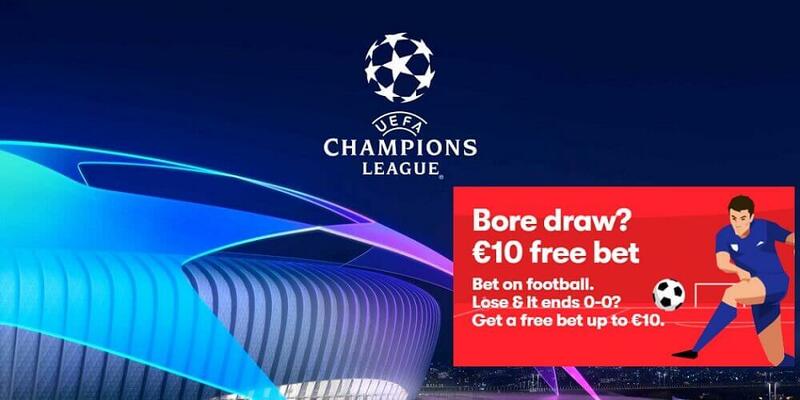 People who haven’t used the Mobile Betting Service before, can use the bonus code: BRKMOB30 when making a qualifying deposit and will be credited this bonus. Moneyback Specials – Place a pre-match Correct Score bet on the selected Premier League fixtures- if it is a draw at half time, your winnings will be doubled on that match. The maximum stake is £/€10. 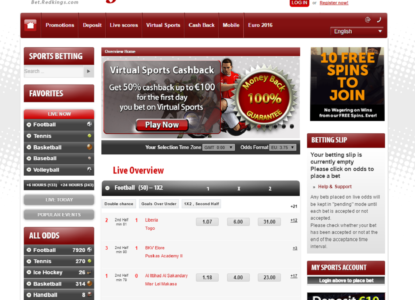 Virtual Sports Cashback – Customers get 50% cashback up to €100 for their first day betting on Virtual Sports. You just have to place your first bets on any Virtual Sports market and you will automatically get credited 50% cashback on your first day. Bet Red Kings is part of the Red Kings group. The company is licensed in Malta and Gibraltar and offers online betting, online poker and online casino games to clients all around the world. 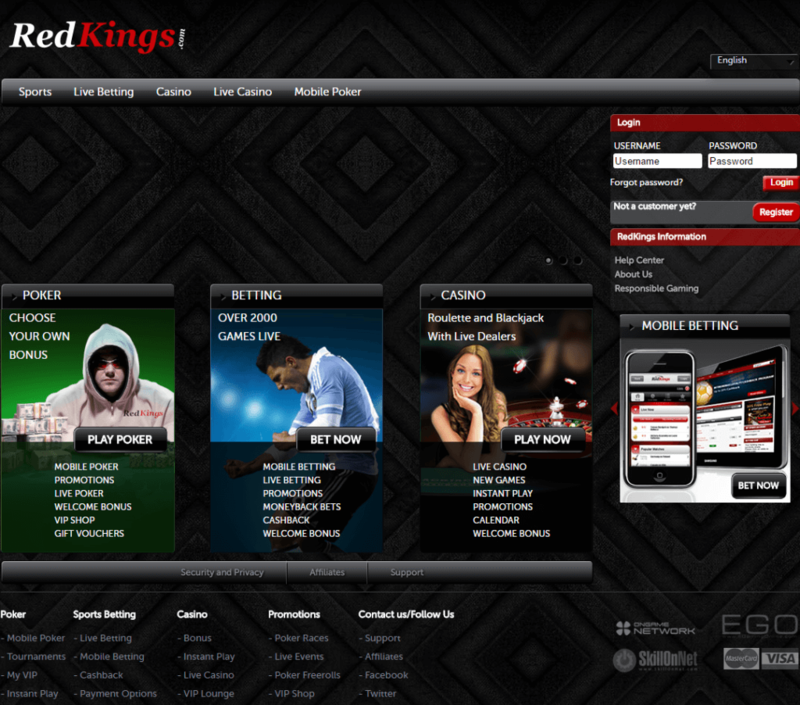 The popularity and integrity of their already established RedKings.com poker site is a good starting point to promote its betting platform. RedKings poker is part of MicroGaming, one of the largest online gambling software providers of the market, with over 160 partners worldwide in the fields of poker, casino games, bingo or other features. Since its launch in 1994, the company has been constantly improving its poker software, which is today among the most trusted ones around. The poker network was established in 2003 and is constantly growing since then. 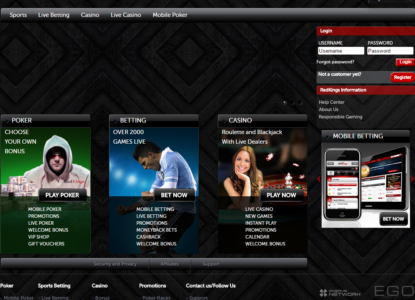 For poker players definitely a great choice with games at all stakes and some nice cashback and bonus promotions. 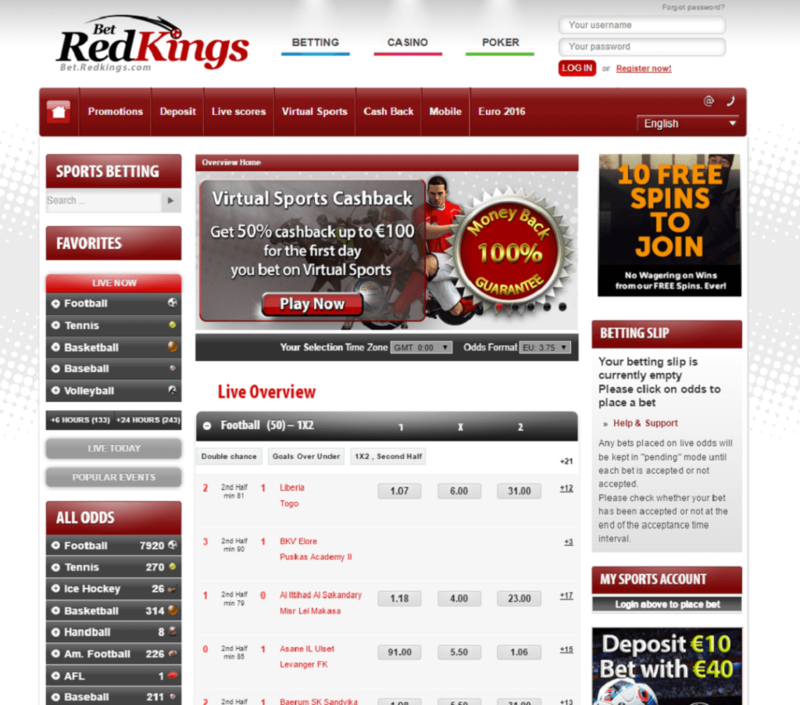 RedKings does not offer a native mobile app for their betting site. However, their modern and re-designed website is mobile friendly and you can access it with any mobile device with an internet browser. They also give you a 100% bonus up to €30 (£20, $40) for your first time you place a bet on your mobile device (new and existing BetRedKings Players). To get your bonus, simply make a qualifying deposit using bonus code: BRKMOB30. Unlike some of their competitors, you can only access a mobile website, but not download any app to enjoy betting on the run with RedKings. However, Pinnacle has fantastic website which is easy to handle with your mobile devices. Just visit their mobile website with any mobile device through your web browser and enjoy betting from all around the world, no matter where you are right now. Odds Format: EUR, UK, US Odds. 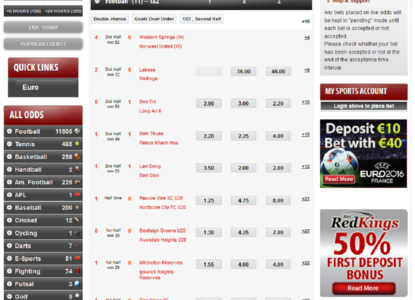 Live Betting: Available, featuring a wide variety of sports. Sports & Leagues: 20 different sports: Football, Tennis, Ice Hockey, Basketball, Handball, American Football, Baseball, Cricket, Cycling, Darts, E-Sports, Fighting, Futsal, Golf, Motor Racing, Rugby League, Rugby Union, Specials, Table Tennis, Volleyball. RedKings is worldwide available, but there are still a few regions from where customers are not allowed to open an account. Check the following overview to see all regions where you are not allowed (orange) to open a RedKings account.